Irish rider Matt Brammeier steps back up to the second division with South Africa’s MTN-Qhubeka, which received confirmation yesterday that it would race in the 2015 Tour de France. “There were a few moments over the last few seasons when I thought to myself, ‘Wow, who is that MTN guy? He has some scary talent,'” Brammeier said. MTN confirmed its signing of the Liverpool-born cyclist with an Irish racing licence for the 2015 and 2016 seasons. 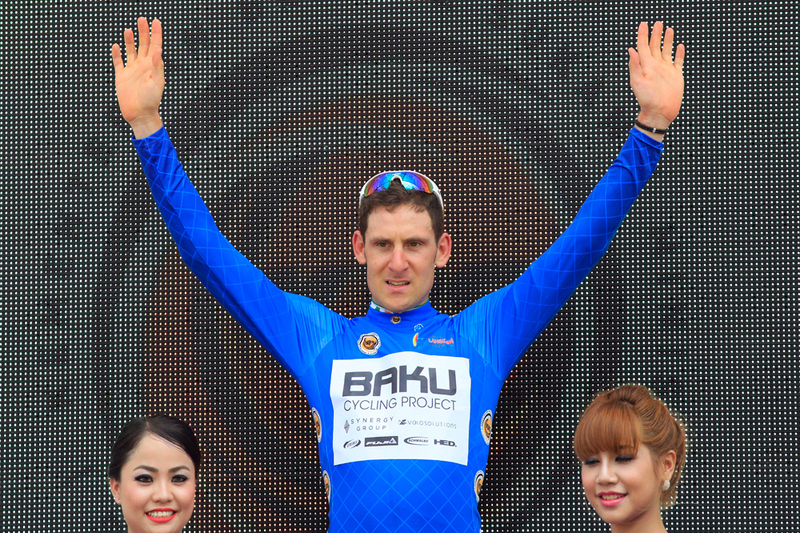 Brammeier, 29, raced in first division teams Omega Pharma and HTC-Highroad before signing with second division team Champion System in 2013 and third division team Synergy Baku in 2014. “It’s hard when you fall below the pro ranks, and I’m not getting any younger either,” Brammeier told Cycling Weekly in an earlier interview. MTN’s general manager, Brian Smith saw the value and on the heels of the Tour announcement, added Brammeier to the growing team. Over the winter, Smith signed several cyclists from first division teams, including Steve Cummings (from BMC), Edvald Boasson Hagen (Sky) and Tyler Farrar (Garmin). “I did feel we needed an experienced worker within the team and he is a rider that can shine in that department,” explained Smith. With Brammeier, the 23-man team includes 13 Africans and 10 non-African cyclists. Team Principal, Doug Ryder told Cycling Weekly yesterday that despite the experienced riders signed, he wants MTN to field a majority of Africans in its nine-man Tour team. Brammeier will first race in MTN’s black and white stripes on February 1 at the Great Ocean Road Race in Australia. “To top off being part of such a fantastic group of riders, management, staff and partners, I will also have the added motivation to be racing for the amazing Qhubeka project,” Brammeier said. The non-profit Qhubeka group provides poor Africans with bicycles in exchange for deeds such as growing 200 trees to 30 centimetres or collecting 4500 plastic bottles. Already, it has rolled out 51,000 yellow bikes.